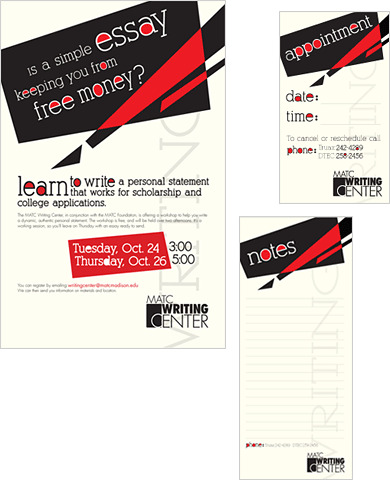 This was designed for the MATC Writing Center to promote a seminar on writing personal statement. The project includes design of logo, appointment card, and note pads. They were completed using Adobe Illustrator and InDesign.